Nice bedroom full furnitured with an area of about 20 sm, including own flat tv 34" and DVD player. 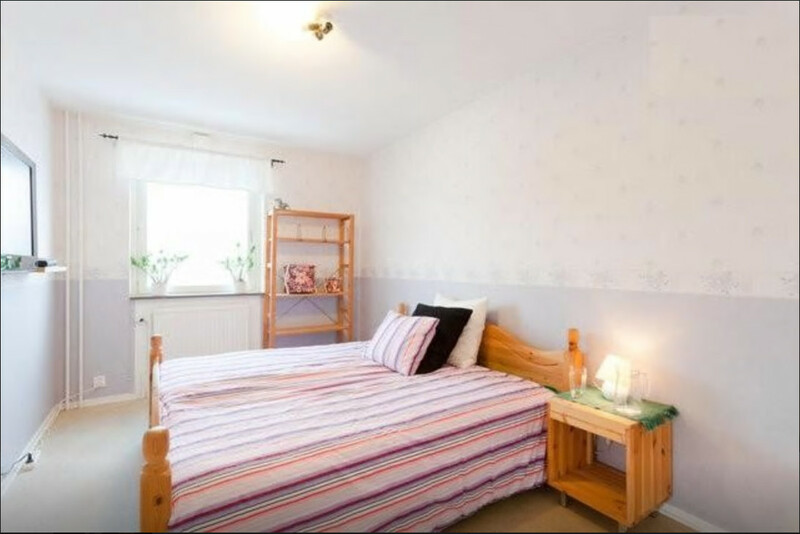 Well located and access to transportation nearby, Only 10 minutes to Chalmers and 20 to Göteborgs Universitet by public transportation. Shared toilet, kitchen, dining and living room. French balcony in the living room. The whole apartment has 75 sm. Very quiet and nice area with access to shops and restaurants nearby. I am looking for a quiet student, preferible girl. A quiet male student tidy and clean may also be welcome. Contact me for more details about the apartment and pictures.